Manufacturers are no longer depending on traditional methods of finding a retail partner to distribute, merchandise, price and sell their product. The historical end-game simply boiled down to sharing the gross margin with the retailer. On the path from product source to sale there was a heavy spend on marketing and advertising to promote and build the brand. Nowadays manufacturers build their brand by using social media and other digital tools. Through investment in digital platforms such as ecommerce and mobile they are able to sell directly to the customer whilst maintaining control over the distribution, merchandising, pricing and selling of their products. By selling directly to the consumer via an ecommerce platform they retain 100% of the gross margin. However, manufacturers may find difficulty in breaking free of traditional methods of interaction with middle men and may adopt a hybrid model of the D2C concept of direct sales with which they are comfortable. This fusion is likely to be the future sales and marketing default model across multi channels. To make the most of the evolving landscape in direct sales, manufacturers require a digital platform that is powerful, functional, user friendly and scalable – an online sales tool that effectively promotes the brand and product to an engaged customer base enthused by both product uniqueness, value and transparent marketing strategies. Magento is the default future -proofed choice of ecommerce systems for serious manufacturers who wish to retain control of their product life cycle from concept development and manufacturing through to product sale and onward shipping. It allows Companies to build a branded retail presence at a fraction of the price of constructing High Street store fronts. Magento provides capabilities such as indepth reporting, analytics and same day shipping. The system also provides a host of digital tools that add to the platform’s scope and complements its inherent functional capabilities. Through introducing live conversation facilities for customers and focusing exclusively on their needs, it can promote customer relationships and drive online traffic. Other parallel developments such as advances in smartphone technologies, more capable mobile networks and growing availability of mobile-specific digital tools are expanding the reality of both mobile commerce and location-based services. This all means better brand and consumer engagement, which is what the customer of today demands. Manufacturers can get their products into the traditional distribution channels through a Magento 2 digital platform without having to provide retailers with products consignment. It also dispenses with the related financial burdens of trade spend and listing fees. The opportunities provided by Magento are an unlimited reach, personalised marketing, advanced loyalty, full real time access to customers, fast product speed to market and retained control of merchandising and distribution. Manufacturers can rely on Magento developers to advise on and implement the safest, most competent payment portals, advanced shipping and return of goods policies with built in guarantees of product quality and efficient customer services. Magento also provides excellent SEO opportunities with clear provision for the implementation of digital marketing strategies and page optimisation for achieving optimal Google page rankings in SERPS. Its integration capabilities enables seamless linkup with accounting packages and CMS software. Robust coding architecture. This provides obvious benefits for manufacturers going forward . Evolving availability of an increased number of extensions improving customer engagement and promoting digital opportunities for increased conversions. Evolution towards a more customer-centric shopping experience with real time customer interrelational conversation possibilities. Greater API compatibility providing easier integration with other programmes. Magento is CPI compliant making it a safe and secure platform with payment gateways such as Paypal, BrainTree and Authorise.net. These make manufacturers’ websites as unbreachable as an ecommerce site can be. Magento provides manufacturers with a digital platform that is future-proofed and offers superior user experience. Customer-centric features lend themselves to the D2C model where the customer is put centre stage in an online transaction that offers quality value product and consumer focused service. The system has many rich features in its functionality that boost different sales and marketing models including B2C and B2B. It also provides an array of D2C specific features that enable manufacturers to select and adopt the best way of promoting brand product and online sales. Back in 2016 digital thought leaders were claiming that “mobile isn’t what’s next – it is right now”. Effectively mobile has eclipsed desktop as regards the device usage number game and continues to accelerate its claim that in 2018 it is the preferred go-to platform for connecting, engaging and converting customers in the Ecommerce industry. More pertinent are the consumer figures reflecting multi-platform use including large and increasing numbers of online users, many of whom are using mobile exclusively. With that evolutionary scenario Google introduced an application named AMP (Accelerated Mobile Pages) as a framework to help enhance the mobile web experience for consumers at large. AMP has to be considered as an integral part of SEO campaigns since Google has included it in its search results. The mobile web revolution has transitioned. The AMP standard is continually evolving with the addition of even more accelerated mobile pages and it will undoubtedly impact present and future SEO strategies. However, this is not the most salient issue that challenges marketers and strategists in a world where technology evolution casts yesterday’s innovations aside in favour of today’s more revolutionary technological know-how and digital applications.The new era of mobile web, though well under way, is about to be challenged by another evolving phenomenon – voice search – an Artificial Intelligence software that is gaining traction as the upcoming technology of the 2020s, a digital technology that will be used by the Search Engines to rank voice search sites in the SERPS. It is incumbent on the world of Ecommerce to prepare for the imminent introduction of “voice search” which is the next big thing to disrupt the status quo in the Ecommerce business industry. It will have an influential impact on the future of SEO (Search Engine Optimisation) and AEO (Answer Engine Optimisation) that will not only be credible but will require a certain understanding and appreciation of how it will change those marketing strategies. Google is transforming into an answer engine which gives one single result- the right answer unlike the current Search Engine tendencies to let consumers choose from multiple results. This is what marketers have to optimise for in an AEO oriented device environment . The rationale of the Search Engines has been to chaperon their users through the quickest of processes towards the most relevant answer or result. With the imminent onset of voice search, Google and other Search Engines will have to increasingly rely on understanding and credibility to furnish a single viable result or solution. The key question to this expected future trend is – can online business owners with the assistance of marketers and AEO strategists, do anything to take advantage of this evolutionary change? Schema Data Markup – this can be manipulated to allow answer engines to understand the page information and what is being delivered to the user. Authority – This imbues the Answer Engine with confidence in your credibility. Semantic HTML5 – By sectioning pages, a specific identifiable role can be allotted to each section, encouraging the AEO to focus on certain areas while ignoring others. The rationale of the Search Engines has been to chaperon their users through the quickest of processes towards the most relevant answer or result. With the imminent onset of voice search, Google and other Search Engines will have to increasingly rely on understanding and credibility to furnish a single viable result or solution. The key question to this expected future trend is – can online business, with the assistance of marketers and AEO strategists, do anything to take advantage of this evolutionary change? which will be considered a satisfactory positioning in the SERPS. One certainty pertaining to this situation is the need to prepare and act now so your online platform is tuned and fit for purpose in anticipation of Voice Search activation and the requisite requirement for AEO strategy creation. Long term, the trending towards voice search does not intimate the complete dominance of voice search as a device but rather a more balanced spread of search across all devices. The eventual levelling out of digital device deployment will be a natural progression according to the digital experts, however, the evolutionary nature of online search will necessitate platforms to help Google and other Search Engines to understand that your offer to consumers is the best solution. Once you succeed in that objective you then have to convince Google that you offer the best of several options by proving to them your relative credibility. These factors will leverage popularity in a new AEO world of “Answer Engines”. Google is already well acquainted with your brand but still needs to have a clear detailed understanding of what your brand offers so that the credibility factor favours your platform. In relation to the outworking of Search Engine indexing and positive placement in SERPS it is important to remember that it is their understanding of your website and its inherent credibility that gives your brand authority. As with all other digital developments that have exercised minds in the past and have created unwarranted panic at times, Voice Search is not to be feared but rather considered as another device and opportunity to engage a potential customer base that you can tune into by being better informed and prepared in advance. As an online business why not garner all the positives that Voice Search represents and use it to your advantage. Find out what Google’s review of your brand reveals in terms of public opinion and work to ensure that there is a positive reflection of your brand on Pages 1, 2 and three of your brand name search, suffixing the word “reviews”. There are so many ecommerce platforms available to the retail sector that making a choice can often be predicated upon a host of subjective arbitrary factors that are at best confusing and at worst unreliable. Comparison in performance between top ecommerce platform contenders can provide empirical data to make certain assertions about their efficiency in delivering conversions and a return on investment. Whilst a few ecommerce platforms seem to dominate the marketplace there is a major swing towards Magento as the online sales tool of choice. It is fast, free, transparent, customisable and reliable. With Magento 2 it gives you a robust engaging online experience and a greater functionality, since it is geared up to help you meet the challenge of the increasing demands of online shoppers. With over 250,000 Magento merchants globally, many of whom are top brands such as Coca Cola, Burger King, Cisco Systems, Nike, Procter and Gamble, Christian Louboutin, Ford, Fox Connect, Warby Parker, Olympus, Nestle Nespresso and many more, it is the most popular and feature-rich ecommerce software platform in the world. Kurt Geiger’s decision to move to Magento’s ecommerce platform has helped them to give their customers a rich and captivating experience across all devices. Enjoying a 23% share of the market it still leads the pack in the ALexa top one million. It is also no surprise that it is used by many global small to medium size businesses with great success. Based on analytical data and reports regarding its effectiveness as an online sales tool and its success as the top performing ecommerce sales software, we can deduce that it is the best rounded ecommerce system currently available. Its endorsement by some of the best known global brands, who are turning over billions of pounds in revenue annually, is clear testament to an efficient and popular ecommerce retail and wholesale system that works extremely well for a business mix of world wide clients. 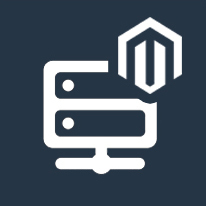 Magento is an open source self-hosted platform providing you with a hosting choice, the most reliable option being third party hosting with a specialist company who can control your hosting needs professionally. There are also Companies who can provide Hosting and support as a package which represents a headache free solution for the Magento developers. With its vast global community of developers and contributors it can give you the structure for a scalable platform which can always meet your growing and expanding business requirements. As the ideal partner for promoting your online business Magento has all your needs covered with its rich out-of-the-box features and extensive capability to customise, whatever your business objectives. As an expert partner in seamless third party integrations it can resolve your unique business needs across any industrial sector. You are never left alone to deal with any issues as you have a world-wide system of merchants partners and developers to help you at every step of your ecommerce platform development and running operations. Whether your business is Fashion, Health and Beauty, Food and Beverage, Automotive, Retail or Wholesale the Magento solution can offer many features and benefits that streamline your online enterprise. You can use visual merchandising tools to create compelling category pages and create exciting authentic content updates with no recourse to IT. You can actually draft personalised shopping experiences for your customer subdivisions. Developers are enamoured with Magento because of its extensibility through a capacious API, thousands of third party extensions and themes and off the shelf development and operationally-ready tools that come with Magento Commerce Cloud. Magento is built on a modern technology stack and has the full capability of handling high growth and peak performance thanks to its scalable and secure infrastructure. Magento’s Cloud platform is PC1, SOC2 and GDPR compliant. Magento commerce assumes responsibility for the heavy lifting, allowing you the business owner to focus on your daily business – learning more about your customers, products and services and marketing campaigns and planning to meet their needs. The wonderful aspect of Magento is its flexibility in extending its capabilities. With Order Management you can bridge the online and in-store fulfillment system providing more convenient and cost-effective delivery. You can also garner the power of your Magento Commerce database with your other systems to quicken smart, data-driven decisions and transform your shipping into a money cow by streamlining operations with Magento’s intelligent multi-carrier software. The system enables Social Media and SEO integration with lots of plug-ins, themes and extensions to enhance the operational connectivity and efficiency. As an omnichannel operator Magento ensures a seamless shopping experience across all channels. Make Magento your ecommerce platform of choice, to provide your online customers with a seamless shopping experience that is robust, engaging and converts. High quality content has always been king in the SEO stakes and continues to be an ever present essential ingredient and website element for optimal performance. This is an industry constant requiring repeated emphasis since setting the content right at the very start provides a solid foundation for SEO success. It is essential to remember that the whole process of optimising a website is to attract online visitors and potential customers to your online business. If your marketing campaigns and strategies work your site will consequently grab more visitors. High quality unique content contributes to improved site visibility and user experience as it answers search queries in a more precise and informative manner. If you provide that essential authentic service to potential customers they will click and buy into your site – products or services. Quality content is also the mainstay of social media marketing. In planning your content, your strategy should extend beyond simply link building and keyword optimisation. Website traffic continues to be driven to a large extent by that same juice – quality over quantity content – the rich content that offers your website visitors a valuable, informative and comprehensive direct response to their search queries. A rule of thumb in this context is always to post high-quality content that serves all purposes in fulfilling user requests. It is a mammoth achievement to induce your readers and followers to share social media content on social platforms such as Facebook, Pinterest, Twitter, Google+, Linkedin in one simple click. This provides you with an immediate opportunity to become visible to more people. Your content will potentially reach out to thousands of prospective customers. On a comparative scale, social sharing equates to the historical word-of-mouth marketing which helps create brand awareness in drawing traffic to that brand. Media sharing strategies can now be integrated with quick takeaways which encourage the followers to deliberately share. The whole emphasis has turned from brand awareness concentration to customer considerations and promotion. Your webpages will attract and retain visitor attention if written content is counterbalanced with an even more popular form of content presentation – images and videos. Modern generations of millennials reared on large screen and TV productions and coloured adverts as well as PC, laptop and smart phone technologies respond much better to the visual medium as opposed to the written word. Harnessing those trends by introducing images and videos into content can only attract more of that age group who are fast becoming mainline consumers.This potential sector of mass consumers is a fantastic source of traffic and you should tap into it by whatever means necessary. You have to offer them what they find most enjoyable to get the desired outcome. In response to the many social and media challenges taking place around us, marketers need to plan content and marketing strategies that incorporate not only this growing element of SEO but all other relevant elements that converge to create a holistic marketing mix strategy. Becoming a thought leader in your specialist subject or particular area of knowledge through building a blog following is an influential element in social media SEO, especially if you include authorship metadata. This is the most vital aspect to consider when posting a blog. Placing the author’s image alongside their blog is proving to be a determining factor regarding the impact of Google authorship on SEO. It is now an accepted component in Search Engine performance. This is a productive way of slowly building popularity with your blogs and of building your online reputation. The measures you implement to make social media a more effective ranking metric in SERPS must be systematically monitored and analysed to ascertain the key elements that are most effective in your SEO campaign. It is a continuous loop of fine-tuning those campaigns to determine what works best and what does not so you can focus on the elements that prove more effective as SEO strategies. Social Media is therefore deployed to enhance site performance in addressing site goals such as improving site awareness, generating leads, driving sales and promoting customer care. Goals can only be achieved through continuous monitoring and analysis of statistical data and proactively acting on those results. If you would like further information on our SEO Dublin services please contact us. It is confirmed now that Google will use Mobile Page Speed as a ranking signal in their mobile search when the new algorithm is introduced. This development is scheduled to roll out in July 2018 when Google are expected to release a new ranking algorithm dedicated to Mobile Search. The good news would appear to be that only a minority of queries will be impacted by Google’s update. In the interim, webmasters have the opportunity to make the necessary webpage adjustments to avoid any penalties that might be imposed for poor page speed and performance. Though it all seems a little vague Google recommends that you use the new ‘updated Page Speed report’ and tools such as ‘Lighthouse’ to measure page speed and implement the required page adjustments to improve performance and speed. According to two of Google’s technical experts this ‘Speed Update algorithm’ will only affect the slowest of pages with the slowest delivery of user experience. The same standard will be applied to all pages and will have a universal application. Both Google’s Zhiheng Wang and Doantam Phan insist that a slow page may still achieve a top position in the page rankings if it presents authentic, authoritative relevant content. This adds further confusion unfortunately to webmaster’s understanding of Google’s intent. However, Gary Ilyes of Google has confirmed that they are rewriting their page speed algorithm for mobile. This may inform some of the confusion surrounding the impending new algorithm and the launch of ‘mobile first index’ by clearly indicating that page speed will be a major factor in SERPS. There is a question about how Google measures page speed since it has been measured of desktop speed and not mobile, up to now. He has stressed that going forward desktop speed will be less important than mobile page speed. It would appear that Google is going to move their entire search index to mobile-first. The two existing search indexes, mobile and desktop, are going to be combined into one index. The Mobile version of a page will be crawled first by the index which clearly indicates that the mobile version of your site will be the first one crawled – not the desktop. ensure that structured data, meta descriptions, tags etc are replicated on mobiles exactly as they are on desktop. The message to all website publishers is to take steps, before the new algorithm rollout, to ensure your mobile site is equal in all aspects to your desktop version. If it is not then the outcome could be damaging. You need to take care that all the enhanced elements of your site are as crawlable on mobile as they are on desktop. This is all motivated by Google’s growing desire to provide increasingly faster rich query results that improve user’s search satisfaction. In the light of emerging markets globally, Google is even more determined to push the envelope with page speed, especially in an environment where connectivity and connection speeds vary greatly. The need for instant delivery of the content the user is looking for, is the motivating factor behind joint PWAs (Progressive Web Apps) and AMP (Accelerated Mobile Pages) technology. Though AMP presents certain weaknesses for publishers, working better for some than for others, the single clear message to webmasters is – optimise your site for instant loading, fast speeds and performance! If your Magento 2 store is being challenged by operational slow-down then there are certain elements contributing to this problem that need to be addressed and resolved. The most likely cause of a slow Magento backend is a slow hosting server. To run Magento 2 efficiently, a powerful server is required. A low cost shared monthly plan will not supply the expected performance. The complexity of the Magento ecommerce platform, with its multifarious features, requires resources to run fluently. You can make a simple check to see if your Server CPU usage graphs are reading max all the time. If they are, then this is an indication that your hosting power needs upgraded. Drill and see if any scripts are running in the background, eating up all your available resources. By monitoring the system you will ascertain if this is so and you can redress the problem by getting your hosting provider to perhaps disable some of them. Should you need a new more efficient hosting plan it pays dividends to troll through servers that are optimised specifically for Magento, thus ensuring complete compatibility with your complex hosting needs. They may be more expensive but they will ultimately do the professional job that your clients are expecting of the system. A top tip from a certified Magento developer is to ensure your hosting deploys the fastest disk technology possible – even if it means paying more per month for the service. Third party extensions present another area worthwhile monitoring and analysing, to see if they are possibly cause for slowing Magento performance. Some plugins may be at the core of M2 running slower than normal so it is vital to identify and eliminate extensions that slow your store down. By accessing the Magento backend menu and listing all custom extensions – excluding the Magento core extensions – you or your developer can disable the offending plugins one at a time and benchmark the page speed. Once you are aware of the offending modules you can contact the provider and inform them of the problem. You then have the choice of finding alternative extensions or removing the inefficient ones completely. 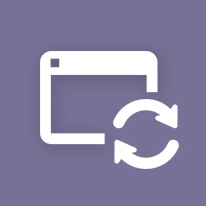 Keeping internal cache disabled – this might simply be down to an outsourced developer having switched it off while testing and having forgotten to reactivate it. This is something that the store owner would not be aware of as a possible cause of slow Magento backend. Ensuring that your running mode is production: It is the fastest of the three running modes – default, developer and production. Again this could be down to an oversight on the developers behalf when working on the system – they might inadvertently have it in a different running mode which would slow the system down. Scrutinise JS Bundling feature on Java Script file. See if it is slowing down your site, especially on mobile devices. Use a full page Caching Application such as ‘Varnish’ which is supported by Magento 2 native – a special software to serve and cache content. Magento developers claim that it renders sites very fast. A further slowing factor is running a non-default Magento backend custom admin theme. Magento backend performance is very much dependant on theme files. It is quite a straightforward process to test this element and rectify the issue. Firstly you have to instal a fresh copy of Magento – the same version you already have – then instal all the extensions you have on the original store, excluding those that change the backend theme. Compare the two admin panels and that will inform you as to why the system is operating slow and below expectation. Make sure to manually update your website’s indexes through the admin panel. If this is neglected then it will become a contributory factor in your Magento site’s slow loading. Also turn compilation on, which means you group Magento’s files into blocks of HTML increasing their accessibility. This can effectively provide you with an improved performance of between 25 and 50 percent, depending on the page requested. Increasing the memory parameters to a level greater than 128mb will enhance your site speed. A higher memory limit is necessary as Magento is heavy on memory use. Another important element in promoting site speed and performance applies when you add products or categories that are spread through many different tables. You can enable Magento to harvest the information more quickly by having a single repository from which the information can be quickly retrieved. Technically it is described as “ flattening your products and categories”. “Hacking the Core” is a term used to denote the overwriting of Magento Core Files by developers to customise your website. The snag with this is the resulting decline in site speed. As with any platform site speed is a factor considered by Google when positioning your website on page rankings. If your Magento Website takes ages to load then that is a negative signal to the bots and will reflect your page ranking in the Search Engine Results. There is a wide range of e-commerce CMS platforms available on the market to prospective online retailers and wholesalers but none qualify for ticking so many boxes as Magento. As a mid to higher market solution it offers the functionality and scalability that allows an online business to develop, flourish and grow. No other platform can compete on this level or provide an open source solution that combines expertise with complete flexibility. It is ideal for 2nd generation e-commerce sites or for those established sites who want to advance to the next phase of growth. Magento is the only real option for those who have greater ambitions than a small start up store. It promotes progression and growth in a seamless manner with no downtime or extra expense. While the system may be considered overkill for small businesses it is worth bearing in mind the extensive list of a-line businesses and organisations that deploy Magento to power their e-commerce platform and are happy to put their trust in Magento for creating and implementing their online retail strategies. When businesses such as Olympus Cameras, Paul Smith and Mothercare entrust their e-commerce business to Magento then others choices are informed by those thought processes that have embraced what has become the world’s most popular e-commerce platform. A licence is required to use it and such seriously large systems often come with a six figure licence fee – something that in itself is financially prohibitive for many developing online businesses who just cannot afford that outlay. With Magento Community Edition there are no licence fees or any other fees other than the cost of procuring a certified Magento developer to build the website. Current customers find that this system works efficiently for online businesses turning over millions of pounds. It provides a community of global developers who are familiar with the system and can offer support with no problem. Magento developers, for the most part, can adopt a site created by another Magento agency and run with it comfortably and effectively. With customised e-commerce CMS, the developer cannot always be relied on to regularly update their software.This could affect security updates as well as general continual software improvements which could effectively mean lack of response to security threats or functionality and future updates. Magento’s proven capacity to integrate with a huge array of third party systems using either existing Magento “extensions” or bespoke API integration puts it in a dominant position over any other system currently available. Statistically it supports over 250,000 businesses with its platform, commanding an enormous 20% share of the ECommerce marketplace. Its dominant position is highlighted by the fact that its nearest rival has an 11% share of the market. Magento continues to increase in popularity and is capturing an ever increasing slice of European and global e-commerce business. With a technology that is likely to be around for a long time it offers security for businesses who require a flexible efficient solution and a stable environment for growth. Its software is undoubtedly satisfying the needs of its users and is globally recognised as the best at what it does. The vast amount of extensions or plugins to enhance the core system ensures that the risks of overburdening the system with extra processing demands on the server is outweighed by the advantages. Intuition and experience will guide developers in their adaptation of the number of extensions that are effective. The bottom line with Magento is that you and your team can access a massive guild of knowledge when and as you need it to either add features through extensions, for minimal costs, or to automate admin. Your business needs are totally catered for, ensuring your business can operate and grow with Magento without any downtime or the requirement to adopt a new technology. Whether you are a B2B or B2C retail, the solution works across a number of business sectors catering for all the complexities and configurations.